Nintendo of Europe has announced plans to release a Kirby Planet Robobot amiibo Bundle, which will include a copy of the Nintendo 3DS and the Kirby amiibo in the new Kirby Collection series. That was announced in March’s Nintendo Direct, and will consist of Kirby, King Dedede, Waddle Dee and Meta Knight. Those that scan the King Dedede, Waddle Dee or Meta Knight amiibo will grant Kirby a unique ability and a costume based on the chosen character. Whereas the Kirby amiibo will give the pink hero the UFO ability, seeing him float in the air and scorch his enemies with powerful Heat Beams. These amiibo will also give Kirby a collectible sticker that can be used to customise the Robobot Armour in-game, with additional stickers collected by exploring stages or from other players through StreetPass. Hidden Code Cubes are also tucked away in stages, which, once a certain amount are discovered in each area, will unlock additional stages. 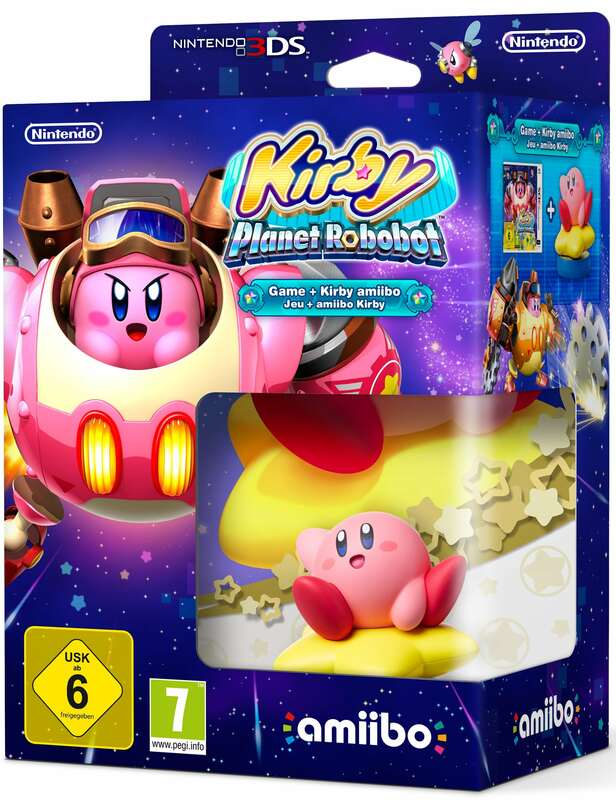 Kirby Planet Robobot will launch exclusively for Nintendo 3DS in Europe on June 10th.